President Buhari says ongoing killings should not be politicised, but the latest statement could further deepen partisan bickering. Although President Muhammadu Buhari warned against politicising the ongoing killings across Nigeria, his aides have yet again reminded Nigerians that deadly attacks resulting in high number of deaths did not start under his government, but rather a reality which Nigerians lived through for the most part of Peoples Democratic Party’s 16-year rule. In a statement Thursday afternoon, presidential spokesperson, Femi Adesina, said the PDP was playing politics when the major opposition party declared a week-long national mourning in memory of those killed last weekend in Plateau State. 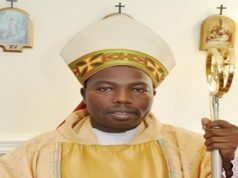 The police put the figures of those killed around 100, but witnesses and organised groups like the Christian Association of Nigeria are estimating over 200 deaths in the killings which affected several communities in Barkin Ladi Local Government Area between July 23 and 25. Mr Buhari was in Jos, the state capital, located about 50 kilometres north of the affected communities, to commiserate with the state government and reassert his administration’s commitment to hunt down the killers and ensure justice for the victims. 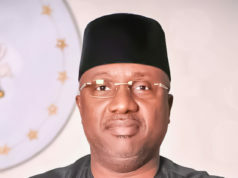 The PDP, which became Nigeria’s major opposition party following its defeat at the 2015 general elections, announced Wednesday evening its flag would be unfurled at half-staff at its local and national chapters across the country for the next seven days. In both tone and deed, the PDP’s move to rally Nigerians appeared an uncomfortable development for the State House, prompting Mr Adesina to exhume a string of past killings he said occurred without declarations of national mourning by the opposition party when it was in power. Rather than exercise “decorum, deep introspection” and help proffer “actionable ideas” on how to end the senseless killings in the country, the PDP danced “on the graves of the dead, playing cheap, infantile politics,” with its national mourning, Mr Adesina said. The spokesperson went on to list the following past incidents and called out the PDP for allegedly failing to mourn the casualties at the time. PREMIUM TIMES has not been able to examine the specifics of claims made by Mr Adesina and, therefore, cannot immediately corroborate their veracity. Kola Ologbondiyan, a spokesperson for the PDP, said the party will exercise restraint and not be tempted into politicising the tragedy. “We do not engage in counting of the dead, our party is currently mourning and we are not going to allow ourselves to be dragged into politicking by the Buhari presidency,” Mr Ologbondiyan told Journalits. While Mr Adesina said the claims should not be seen as an attempt to score political points with body counts, it was not the first time administration officials would amplify past atrocities while responding to latest incidents. While responding to a barrage of outrage in the aftermath of January killings in Benue State, Garba Shehu, another senior presidential spokesperson, said Nigerians should remember that over 756 deaths were recorded in farmers-herders clashes during Jonathan administration. 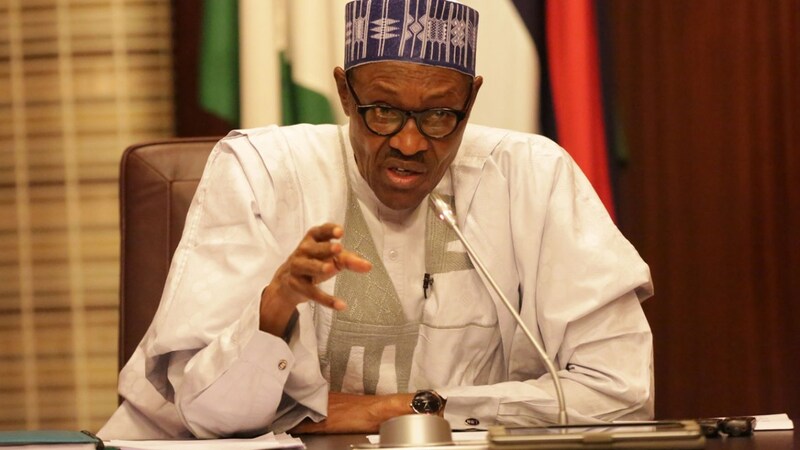 Following last weekend’s massacre in Plateau, the first official reaction from the presidency cautioned the citizens against politicising the killings, a warning critics said was a calculated plot by the administration to retain its political advantage even as security situation deteriorated. Mr Olubanjo recalled that Mr Buhari himself while in the opposition issued several statements condemning deaths of Nigerians and putting the responsibility of securing Nigerians at the feet of the government at the time. “You cannot sit there and be calling yourself the president while killings are happening at dizzying frequencies and still expect not to pay a political price for your incompetence,” the analyst added. For pro-administration commentators, securing the country should be a collective effort of all, rather than holding the president solely responsible. “Resolving the security challenges should be a collective effort of everyone, and no one should be working to gain political advantages from the situation,” he added. Do you want a country where you cannot say for certain, if our enemies come at us, you have a government that can and will protect you? How can 12 young people die because they were looking for jobs in Abuja and justice is not met? Several corruption scandals unsolved. These Nigerians who have died because our government cannot protect them, they are not politicians. They deserve better. We deserve better. Let me make you this promise today: We will protect your children. We will protect your wealth. We will make this country work again. It is unacceptable to ignore or minimise the deaths of Nigerian citizens because of elections. It is heart-breaking. This must change. We cannot be the country that loses the essence of our humanity, the meaning of empathy. Nigerians are dying everyday due to incompetence.